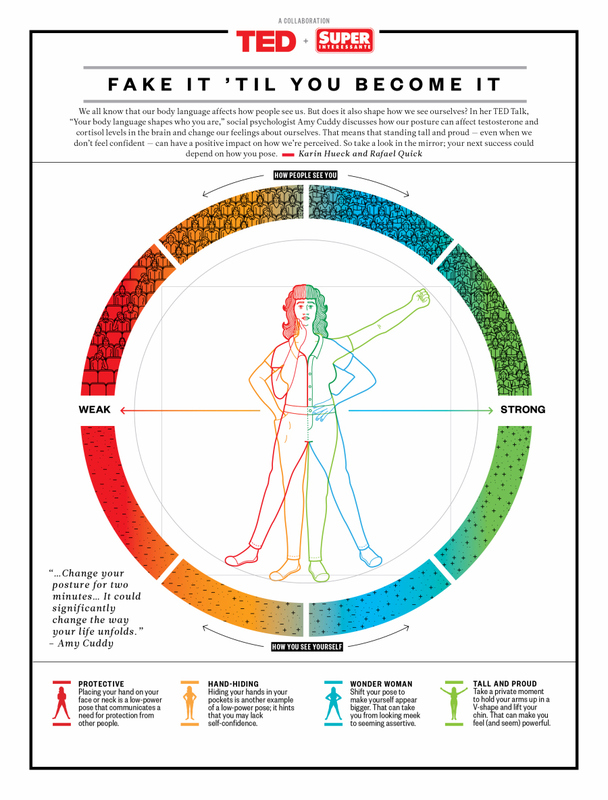 How to be a body language superhero! So now that you know about some of the negative things that could be coming across to potential employers through your body language, how can you change it? Now that you’ve tried power posing repeat the suggestion in the last post to either record yourself or have a friend watch you while answering common interview questions. Notice the difference? You may now be using the following positive gestures while speaking without even realizing that you’re doing it! Now there will be no mistaking your message to employers as your confidence will match your words.